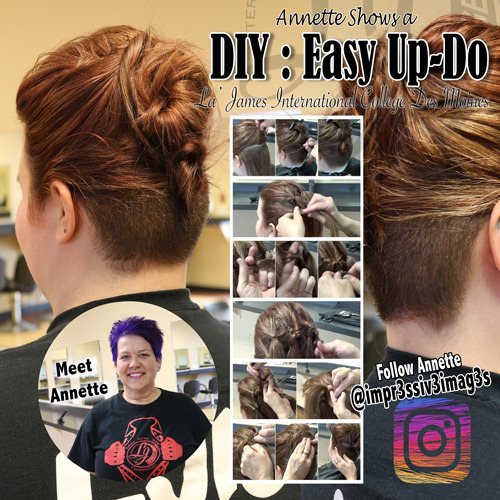 Annette Miller, Cosmetology Hybrid 3 Day student at La’ James International College in Des Moines shares a quick & simple Up-Do! Check it out & Try it out! Step 1: Divide the hair from ear to ear. Gather the bottom section and create a bun. 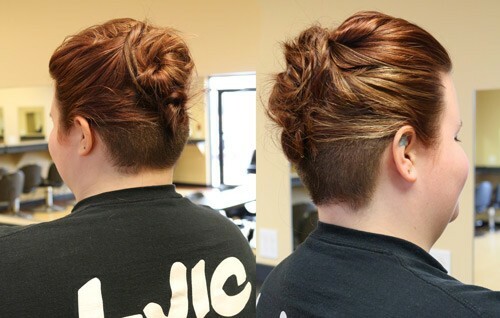 This style can be done on short hair & long hair. Step 2: Next, divide the top section into 5 ponytails. Step 3: On your center ponytail, pull the elastic down to loosen the ponytail. Create a small opening, lift the ponytail up and pull it down, through your ponytail to create a “topsy-tail”. Repeat this step on your remaining 4 ponytails. Step 4: Next, pull all ponytails through the center ponytail. In that same opening you created in the above step. Check out the final look!! Great job Annette!! 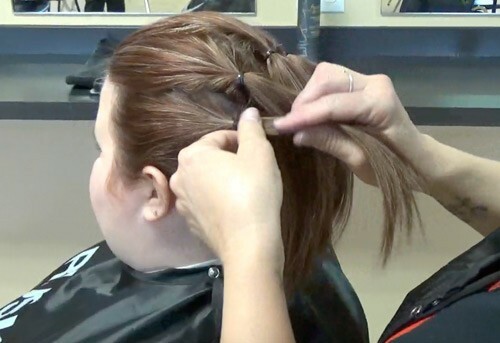 Do you want to learn more about the Cosmetology program & La’ James International College? Call 888.880.2108 or visit www.LJIC.edu today!